As we get older, our eyes lose the ability to change focus to see nearby objects. Reading a magazine, using your tablet, hobbies or other close-up activities may become increasingly difficult and we find ourselves having no choice but to swap between different pairs of glasses. With Eyejusters, you can can correct your vision and see every little detail, by adjusting the strength of your lenses from +0.5D to +4.00D. 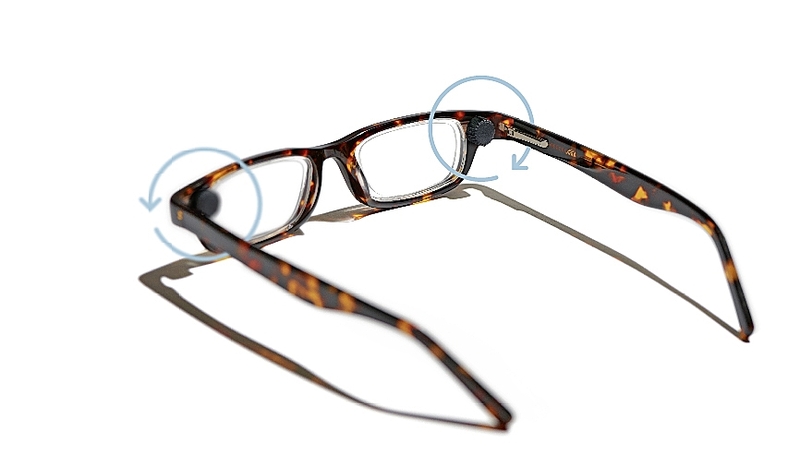 Each eye can be corrected independently with its own discreetly placed eyeDials™ adjuster. Eyejusters provide optician-quality frames and the highest strength of lenses available in the UK without a prescription.